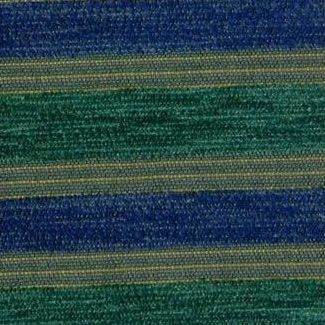 Poolside is a textured, contract grade stripe pattern in Cobalt Blue and Deep Teal with chenille yarns that give texture and depth to this design. The chenille stripes measure approximately one half inch in height. This is a fabric that has to be seen to be appreciated. With great durability, this fabric can work well in high traffic situations and present an interesting look. Poolside is suitable for cornice boards, pillows, cushions, table toppers, bedding, headboards and furniture upholstery.